I just finished up the SORAG article for the upcoming part 3 of the #TravellerRPG adventure path Prelude to War. The Reidian Flyer-class Blockade Runner punches through enemy forces and orbital defenses with amazing speed. This starcraft outstrips missiles and quickly flies out of range of anything pursuing it. Now your Travellers can upgrade their game in the Original Traveller Universe beyond the Imperial borders. In the Foreven Worlds, danger lurks behind every asteroid—arm yourself well and live to make a cargo run another day! This includes a 6-page PDF with full details about the ship and an 18″ x 12″ poster for you to print and hang on your wall. When we finally travel to different solar systems, one of the lifeforms we are expecting to find are called snottites. They are a glob of single-celled organisms that dissolve rocks and other mineral deposits for substance. It gets its name from the fact that it has a consistency close to snot. That is perfect for a game that is closer to hard science fiction like Traveller, except snot is not all that exciting. However, if it had a body similar to magma, that gets considerably more interesting. Blobs have been in Dungeons and Dragons since the beginning. I have yet to see one in Traveller and considering they do have a basis in reality (not the gelatinous cube, obviously), it only makes sense that this game should have a blob monster as well. 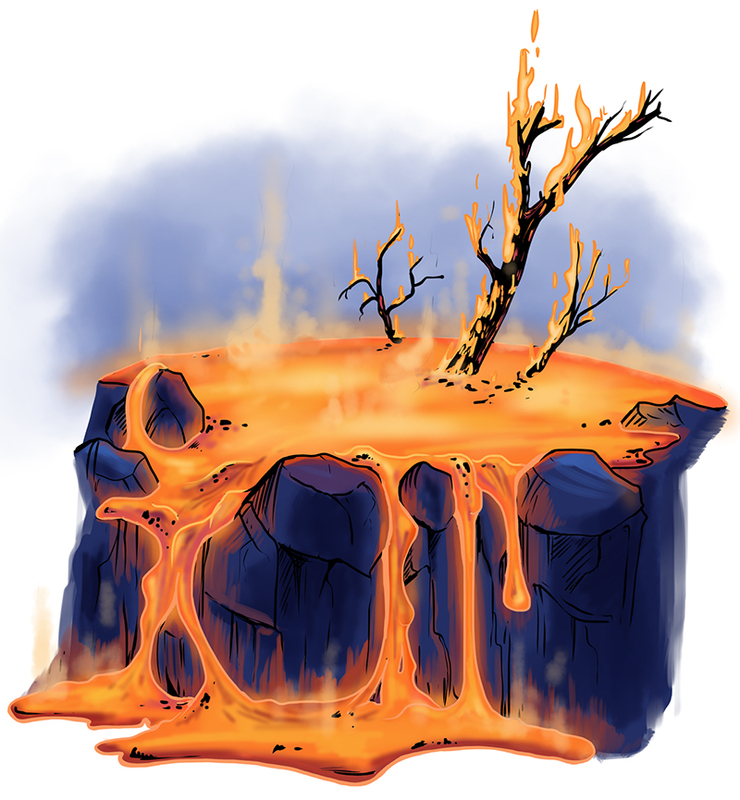 This one just happens to be composed of magma. Magmites come from deep inside a planet or moon. It is life made from the molten core inside the planet. When they come up to the surface through volcanic activity or quakes, they can quickly eat away at anything from living flesh to the metal of a space ship. It just burns away anything that it touches. It is not intelligent at all and as such lacks skills. So anything that it wants to do it is just a straight roll. However, anything it touches does take 2D damage In addition, anything that touches it—like melee weapons or those using their claws—take 2D damage. 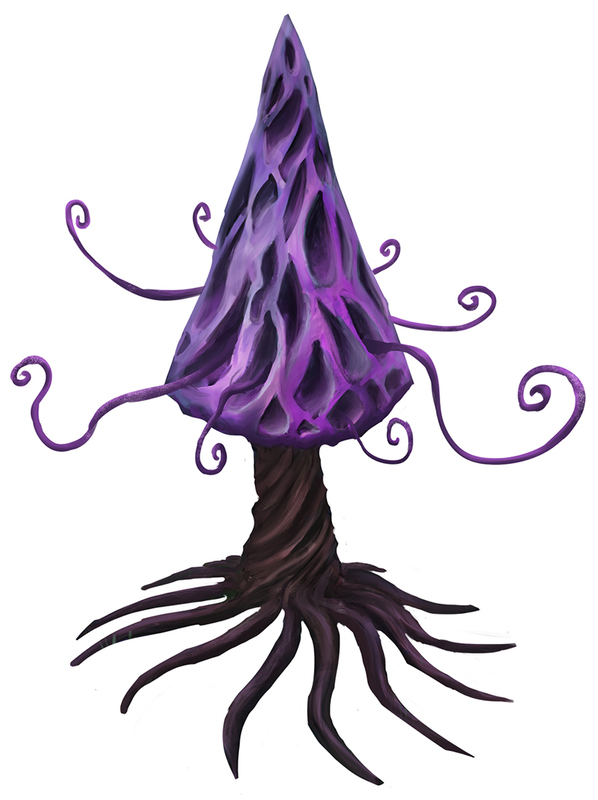 These magmites will be in the upcoming Foreven Worlds: Creatures of Distant Worlds. Check out all of our Traveller products at DriveThruRPG. Burn: The animal sets on fire whatever it touches. Anything in the same space as the animal takes the listed damage. Attacks against the animal using bare flesh—such as a fist or claws—take the burn damage. Immune to Everything (Damage Type): The animal takes no damage from any source except what is listed in the Immune to Everything trait. For example, those immune to everything except cold take 1D damage for every gallon of water thrown on the creature. Natural Healing (Damage/Interval): The animal heals itself by the listed amount every interval. Whenever I play Traveller, I like to have the ship my players are in in a large format hanging on a wall for quick reference so they can see it in full detail. So when I set up to do the single ships for Traveller, I decided to include a poster map of the ships with its specs and an external picture. Having this helps to immerse my players in the universe of Traveller that much more at the start of every game session. We did this with the Gannet that we produced last year and we are doing this again for the Reidian Flyer. The Reidian Flyer, incase you do not follow all the sneak peeks I post to Twitter or Facebook, is a blockade runner. What would normally be over a hundred tons cargo space is taken up with a high burn thruster reaction fuel. When the high burn and the standard gravitic drive are engaged at the same time, it produces a a full 11G of thrust, allowing the ship to pull away from pursuing missiles and get away from attacking ships. Whether your characters are passengers or in command of a Reidian Flyer, they can expect a bumpy ride while they are being shot at. Download the Reidian Flyer when it is released and be sure to check out all of JBE’s other Mongoose Traveller 2e releases exclusively at DriveThruRPG.